Explore the magic of sailing in Greece and the beauty of a Greek Islands cruise on a sailing yacht in Greece. Alpha Yachting Greece offers you the opportunity to go sailing in Greece or take a Greek Isles cruise. We offer you the opportunity to go sailing in Greece and the greek isles. 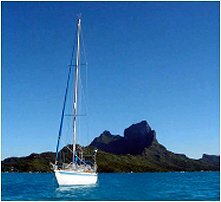 Make your own sailing itinerary or choose from one of our sailing holiday cruise vacation packages. Why get stuck in a hotel when you can experience an unforgetable sailing holiday in Greece. Alpha Yachting offers a full range of motor yachts, motor sailers, sailing yachts and bareboats for sailing in Greece.